SKU: 2228. Categories: OUTLET, POSTERS/CARDS. Aspegren Denmark has cards for many seasons and different occasions, for Christmas and Easter, as well as for birthdays, weddings and christening or childbirths and many more. So put your thoughts down on paper and send them in a card to your beloved ones. Remember that in the busy and digital daily lives we are living today, it is rare to have a handwritten letter or card, and this is why it is valued so much more by the recipient. 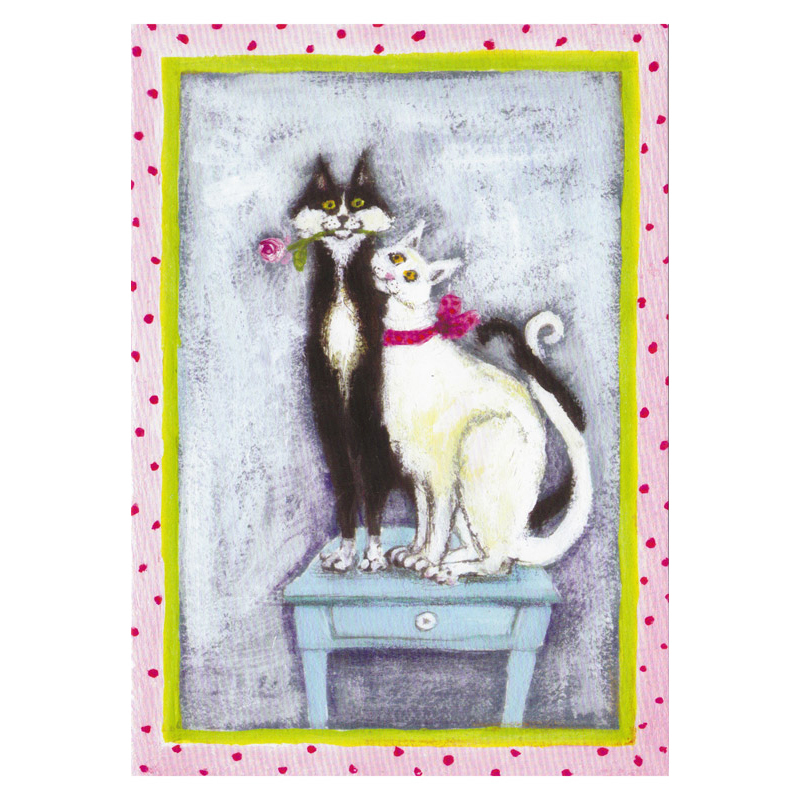 So next time you need to make someone very happy, feeling very loved, then have a look at the many great, humoristic and charming cards from Aspegren Demark. They are all drawn by the Danish graphic artist Line Eskestad. Postcard Design Aspegren Denmark Cats.